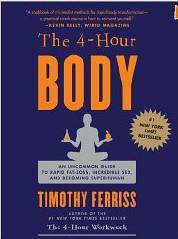 Getting really interested in this stuff from Tim’s book, I went on to read one of his primary sources, BODY BY SCIENCE, by Dr Doug McGuff. 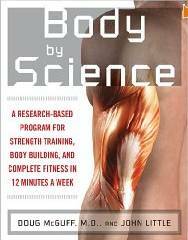 Doug’s book is heavier on the science, much of which is based on research at McGill University in Canada. This got got me down to 20 minutes of gym time, once a week. language translator . site down or not And it got me off the damned treadmill! Nice! Without revealing too much, the very short version of Body by Science is that short bouts of high intensity effort will get you further – health, fitness and energy wise – than the “never ending jog” that pads the pockets of gyms and trainers and wastes the time you should be spending on your business. cameroon tourabe Enough said. Give it a look.